Continuing our series of interviews with indie developers on their journey to "making it," I chatted with Stef Cola, who not only founded a web development company, but also co-runs another small business and works a full-time job. Hi Stef! Tell us a bit about yourself, what you're interested in, and what you do all day. I’m a 26 year old female. I live and work in central Victoria. I have a collection of gold, winged shoes. I studied business for two years at an American college on a soccer scholarship. I co-own two small businesses: Ivy and Joe & Doomsday Tuna. Now for the longer version. By day I work as the head of the digital department at a small educational resource company. By night I work on and in two small businesses. In my downtime I hang out with my intensely playful cat (Moo) and my slightly less playful fiancé (Ivy). As I mentioned earlier, I have the best of both worlds; employment & entrepreneurship. From Monday–Friday I work for an educational resource company (TLRG). I help look after the digital department there, acting as the translator between the developers & management. We are a tight team (my brother is the lead developer there) and really enjoy working on ways that technology can make a difference in education. 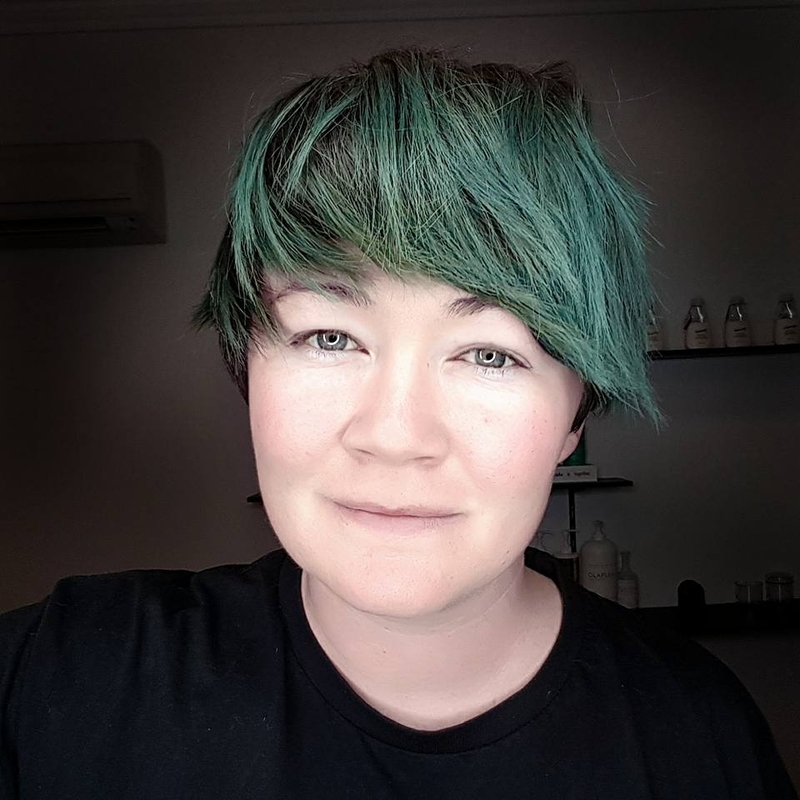 Outside of the traditional work hours (9–5) I work on the two small businesses that I am a part owner in; a hair studio in Bendigo and a web development company. These are drastically different endeavours but I love the variety that they provide. Generally, I will focus on completing an hour or two of Doomsday Tuna work in the morning before heading off to my 9–5. When I finish up for the day I will wind down and relax before doing a couple of hours work on Ivy and Joe as my final task for the evening. Every day is a little different depending on what crops up in each business (and life). I like wine. Red wine of any flavour, assortment or blend. As a rule all wine must be served with delicious food and wonderful company. I have also recently taken up distance running. I am training for my first marathon in May (Great Ocean Road Running Festival) and have been surprised with how much the training has acted as a form of productive meditation. I am spending just over 5 hours a week training at the moment so that is taking up a fair bit of my free time. I also religiously listen to podcasts and audiobooks. A few of my favourite podcasts are The Tim Ferriss Show, 99% Invisible, Stuff You Should Know and Myths and Legends. As for audiobooks I will avidly consume anything by Neil Gaiman. You have a lot of ongoing projects. How do you balance all your different responsibilities? I am in a constant battle to be more productive and find the perfect balance between all of the projects that I’m passionate about. I take great joy in experimenting with different tools and methods to maintain some semblance of sanity and lifestyle. Currently I am using an amalgamation of tools, in a cobbled together organisation system that draws on GTD and bullet journalling (although not the Instagram-worthy pages that you produce Belle). Note from Belle: I would humbly argue with Stef that my planner pages are not at all Instagram-worthy, and in fact, have stopped sharing much on Instagram recently as a way to avoid thinking about my daily planning as a way to show off, rather than get things done. Having said that, in case you're curious as to what Stef is talking about, you can find my past Instagram posts here. I couldn't live without Google Calendar, Asana and my notebook. I use Asana to capture all of the incoming, upcoming and random tasks. This forms my giant master to do list. Once a week I will go through the list and schedule tasks into my Google Calendar. Then every evening before bed I will review tomorrow's calendar and handwrite them into my notebook. Throughout the day if any new tasks pop up I will first write them into my notebook. This stops me from jumping into my giant master to do list and getting distracted. In future are you aiming for a different balance between projects and responsibilities than you have now? What would that look like? Yes, absolutely. End goal: I would love to work part-time and run my businesses for the rest of the ‘work week’. I’m in a weird place, where I thoroughly enjoy my job so there isn’t a huge amount of motivation to move away from being employed. I know that disliking their employment is a massive drive for a lot of people who have a side hustle and are hoping to grow that into their main income. That being said, there is a lot of power in diversifying your income (and your time responsibilities) away from your paycheck. We are growing quite rapidly with Ivy and Joe in terms of revenue and clients. As a result we will be looking to hire another hair stylist to join the team on a part time basis. This is an exciting step as it will take us from owner-operators to employers. This will change my responsibilities in that business quite drastically. Doomsday Tuna has been coasting for the past few months; we haven’t been focusing on marketing or sourcing new clients. For this business I handle all of the sales, customer relations and project management. Whilst I will still be handling all of these responsibilities in the future I am looking to do more developer work. I suppose the higher level spread of my responsibilities within the projects won’t change that drastically but on the lower level, day to day operations there will be some changes. Late last year you took a break from social media on your phone. How did that go, and what did you learn from it? That your mum will consistently ask whether you saw her latest Facebook update. It got to the point that I would have to open the laptop up and check mums feed before heading out to visit her! Additionally, I found that my ability to concentrate on deeper, more meaningful work was directly impacted. By removing the constant pull towards distraction I was able to achieve more. I was driven to remove it when I evaluated the amount of time that I was spending on different areas in my life. I was shocked that a lot of my down time I spend scrolling mindlessly through my Facebook feed instead of doing the things that I said were important to me (connecting with family, writing, producing, etc). I recently installed Facebook back on my phone for a week (I wanted to explore the new ‘Live’ feature) and found that there was a sharp decline in my productivity and mindfulness. You've said before that you're a procrastinator, and that you're trying to focus on getting things done rather than making them perfect. Why do you think that's important? I simply won’t get it done otherwise. One of the great things about running your own business is that there isn’t anyone telling you what to do. This is also one of the worst things. With a focus on getting it done, rather than getting it perfect, I can finish the task and iterate back to improve it. For example, in a project that we are working on for a Doomsday Tuna client we were able to save hundreds of development hours by implementing this. We worked to a minimum viable product model and produced the bare functionality requirements for a webapp. This was coupled with basic sketch ups from Balsamiq. From this initial work we were able to identify some key changes that needed to be made before we lost the time in development. This agile methodology applies so easily to software development and I have been exploring applying it to the rest of my work life. There is almost always a way that this iteration strategy can be implemented into the way I work. This mind set change from making things perfect to getting things done is leveraging my personality to work on the strengths I have; working like crazy to a timeline. It does require constant vigilance and self reflection to ensure that I am maintaining my focus on getting things done and not slipping into the ever seductive procrastinating perfectionist mindset. You mentioned wanting to adjust the balance of time spent in your job and running your own businesses differently in the future. Do you have a definition in mind of what "making it" looks like to you? How will you know when you've made it? I haven't got a concrete vision of what 'Making it' looks like. I don't think that there is ever a moment where you look around and think to yourself "yep, I'm successful now". That might be the hardest (and most alluring) aspect of running your own business. It's not like in a traditional job role where you have external performance reviews and transition up a corporate ladder. You're building your own ladder and it's certainly not going in a linear fashion. My vague idea of "Successful Future Stef" is that she works part-time, runs the businesses part-time and has more time for other creative endeavours to spike my interest. You also mentioned that you'd like to do more development work in the future. What's your background in development, and how have you balanced that with other types of work so far? I am happy when I'm coding. Working on an intense problem takes me back to the joy and curiosity that I had as a child. I love it. However, I suffer from an intense case of Imposter Syndrome and have shied away from any level of development work in my day to day job. Going forward I want to change this balance. Last year I completed my Diploma in Website Design and Development. Whilst I had been slowly building up my skills outside of the course I was hoping that getting that certificate would do something to help with my confidence. It didn't. The only way to combat Imposter Syndrome is to get in there and do the work. So, I'm changing that balance. In my day job I'm taking on more development responsibilities. In Doomsday Tuna I'm taking an active part in completing our client work; not just finding more clients. It's great that you enjoy your job enough that you don't necessarily want to work for yourself full-time—that seems rare! Are there any downsides to that? For instance, do you find it harder to focus intensely on one project when you're highly committed to both your job and your own businesses? Without the drive of hating my day job I can lack the motivation needed to really double down on the hustle for Doomsday Tuna. I have the cushion of my weekly paycheck to fall back on when business slows down. The mental safety net means that I have to really force myself into finding new clients - because I don't HAVE to do it. We all have a finite amount of resources to spend each week and I'm giving a lot of that to my full-time job. That means I have less mental energy and time for my own businesses. If I have had a big day at work then coming home and working on a big project is one of the last things I want to do. With so many responsibilities, what's it like when you need sick leave or want to have a holiday? That is one of the great benefits to having a full-time role. Even when I'm unable to work or want to get away for a few days, I still have a paycheck coming in. I also have the wonderful support of a business partner in both Ivy and Joe and Doomsday Tuna. This means that even if I'm out of action for a couple of days there is still someone holding down the fort. I have the utmost respect for entrepreneurs who are running a solo ship. As a co-owner of two businesses, what's your biggest struggle in "making it" as a business owner? And how does that differ from your main struggles in your job? "Making it" as a business owner is more of a choose your own adventure story. You set your own hours, goals and motivations. That is my biggest struggle as a business owner lately. It's so easy to get caught in the day-to-day operations of the business without taking a step back to set the overarching goals of the business. That's just not something you need to consider when working for someone else. And finally, you dunk your teabag a lot of times! Why do you like your tea so strong? There is nothing worse than a weak tea! Thanks for joining us, Stef! You can find more about Stef on her website and chat to her on Twitter.